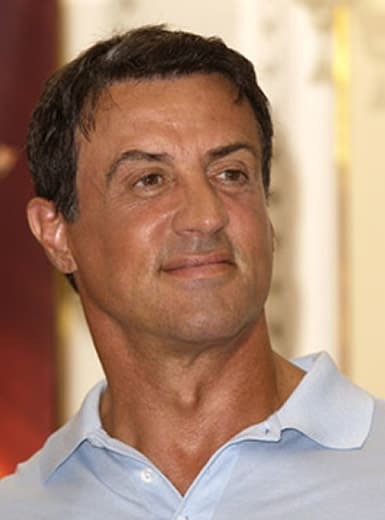 Sylvester Stallone Plastic Surgery - Hair, Facelift, Botox, Nose Job? 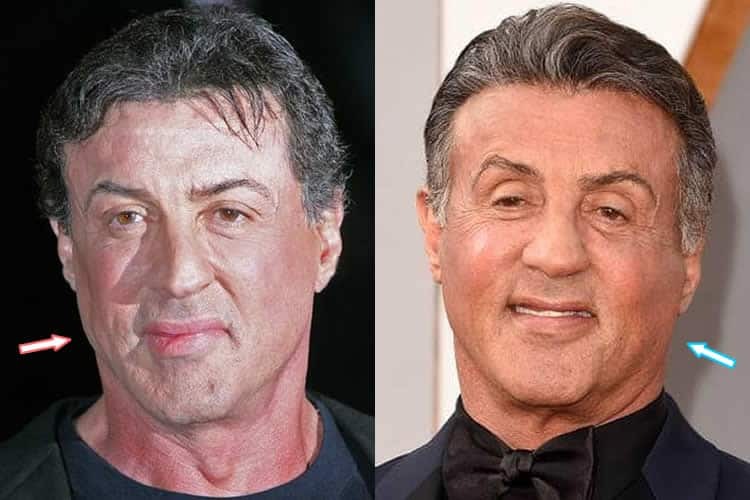 Sylvester Stallone Plastic Surgery – Hair, Facelift, Botox, Nose Job? Sylvester Stallone has turned 71 years old, but when it comes to his image, this movie legend is still punching above his weight. That’s why many people think he’s had plastic surgery to sustain his looks. While no one will ever forget his heroic performances in “Rambo” to the most favorite boxing legend of all time (on screen) “Rocky”, the truth is…all heroes will eventually get old. 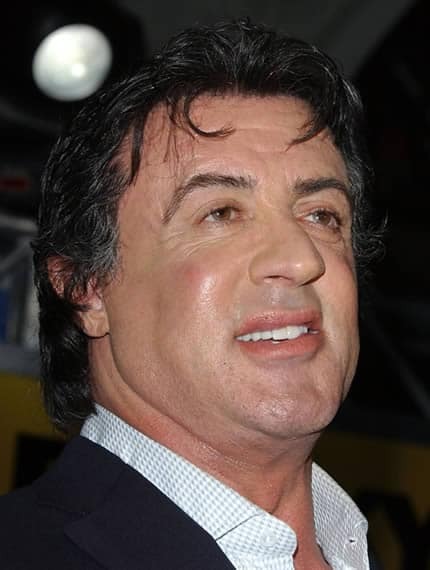 So has Sylvester Stallone ever had cosmetic surgery? 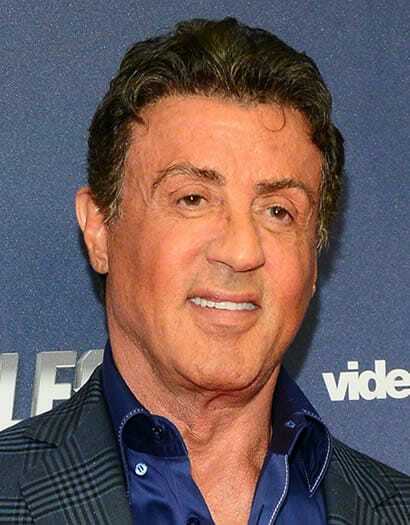 Did Stallone Have Facelift & Botox? Has Sylvester Had A Nose Job? 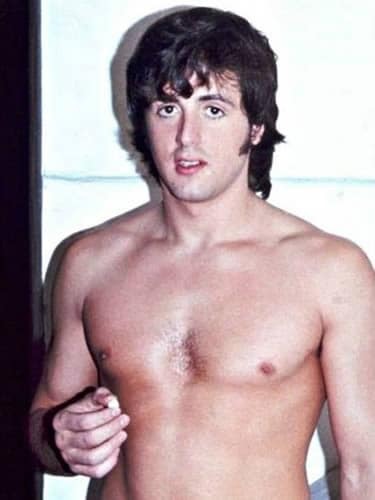 In order to determine what type of cosmetic procedures Sly Stallone might’ve done, we have gone through numerous photos before and after he became famous. Here’s what we found. 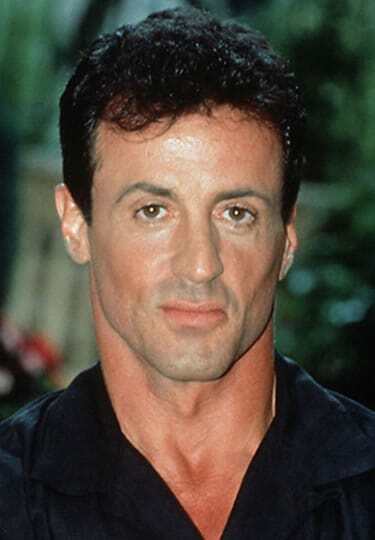 It was evident that Sylvester Stallone was experiencing a receding hairline when he was younger. If he hasn’t stopped it, he may actually lose all the hair on top and go bald. So it’s likely that he’s undergone a hair transplant surgery to regrow his hair. In fact, he probably went to the same clinic more than once. 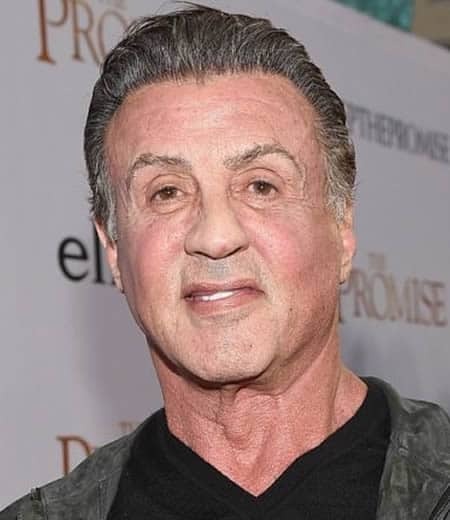 You can see clearly from the BEFORE photo that Stallone’s face was losing elasticity and building up those really large wrinkles. Compare that with the AFTER photo, his face has regained softness and the lines around his mouth have disappeared, so this could be the result of a facelift procedure. His face cheeks also look plumped extending down to his jawline and neck areas. Based on how full his cheekbones look, we won’t be surprised if he’s had botox injections and probably a brow lift as well. It appears Rocky’s nose was already broken before he even stepped into the ring. 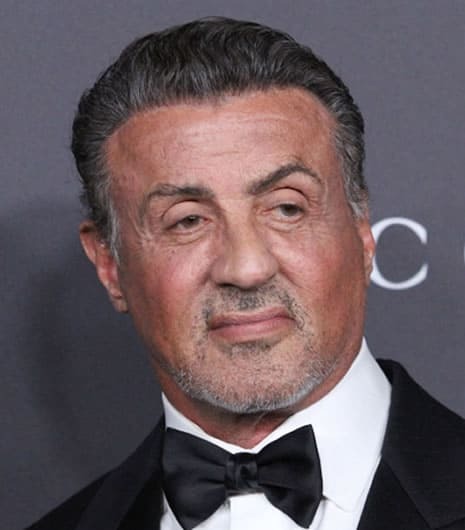 How exactly did Stallone broke his nose, we’re not sure? But it’s obvious that he did not have a nose job to straighten it. 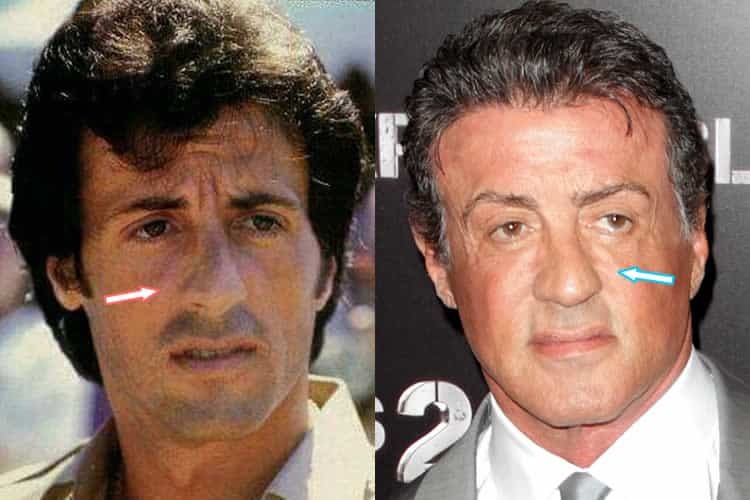 Let’s see how Stallone’s face has changed through the year. We’ll also take a look at how his body has transformed from being skinny to muscular. 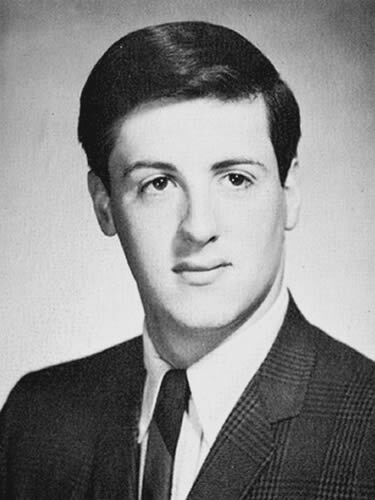 Here’s a rare photo of Stallone in his high school year book. As you can see, he already had a crooked nose from a very early age. Did he get in a fight at school or something? This picture was taken before he started doing bodybuilding. Although he wasn’t exactly skinny, but there weren’t many muscles there either. If they had abdominal etching (6 pack abs liposculpture surgery) back then, you’d have to wonder whether he’ll try it. Who could ever forget this look when Stallone gained international recognition for his star performance in the worldwide hit, Rocky! Little did anyone know that he was the one who wrote the script so, besides muscle, he’s got the brains too. 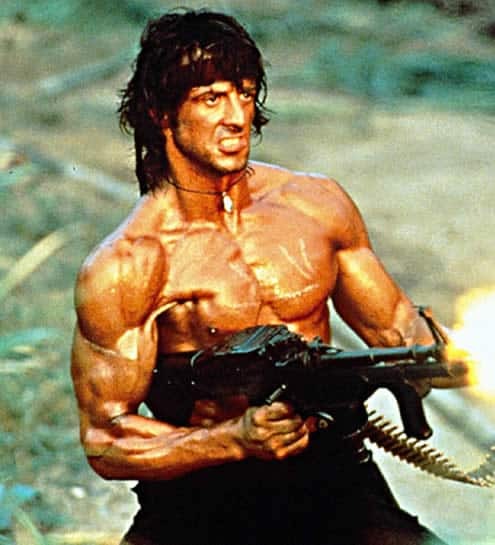 Sylvester starred in another box office hit, Rambo. 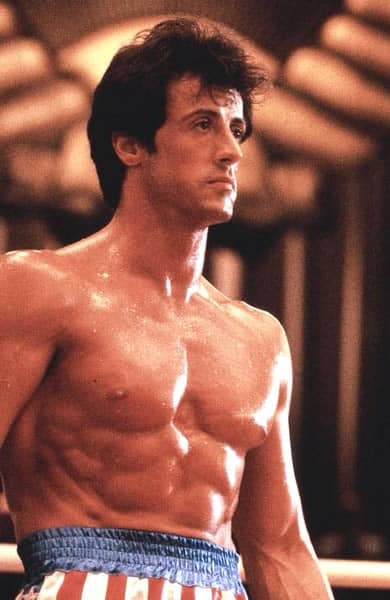 There were a lot of noises back then with critics claiming that Stallone may have used muscle enhancement drugs such as steroids to help him train hard. Looking at this photo, you can probably understand why…his body is like a rock! After doing a number of sequels for 2 of his most successful movies, Stallone worked in another major action thriller, Cliffhanger, which grossed over $171 million worldwide. He is looking fantastic at 47 years of age and we put that down to the many hours that he’s worked out in the gym. He’s got a long face shape with narrow jawbones and a big ‘manly’ chin, but no…he did not have a chin implant! 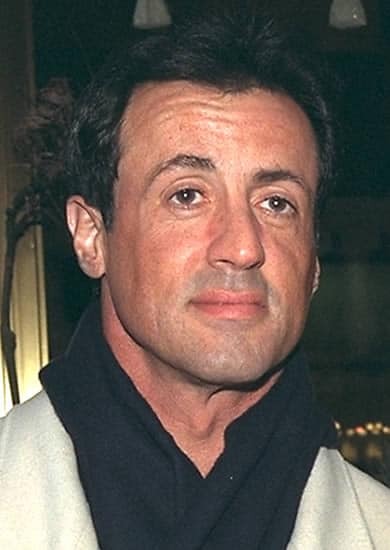 For a 50-year-old man, Sly is looking really good although you can see that he’s starting to experience hair loss. Yes, his hairline was definitely receding and this was perhaps the time he started seeking hair loss treatment. Here is Sylvester Stallone attending the movie premier of “Spy Kids 3” in Venice, Italy. If we had to guess, this was possibly the year he started using face fillers as you can see a level of puffiness to his face. Here the actor arrives at the World Premiere of “Rocky Balboa” at the Grauman’s Chinese Theatre in Hollywood, California. 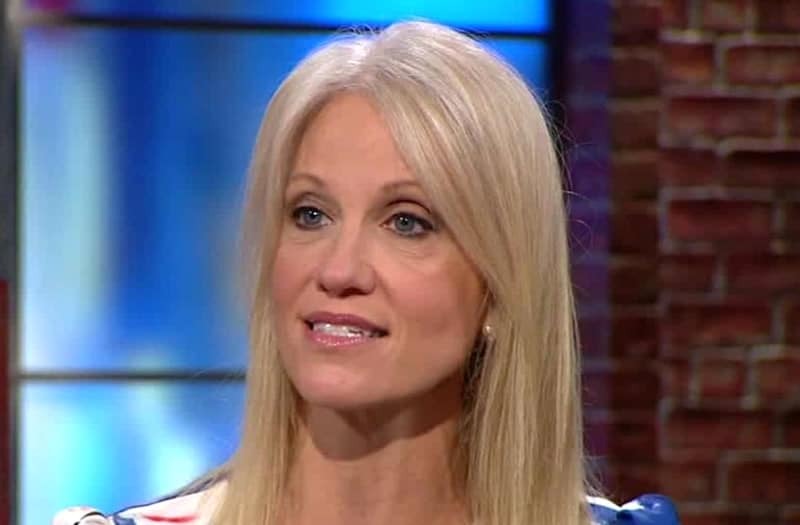 In case you’re wondering whether that’s Botox on her cheeks and neck. Maybe a little…but he’s definitely gained a lot of weight during this year. 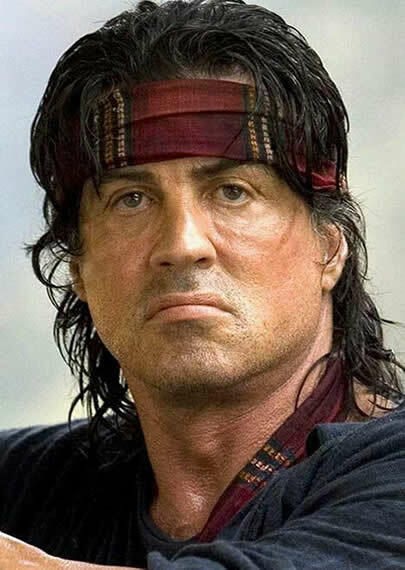 Sylvester was back in the remake of the classic “Rambo” screened in 2008. A lot of people wonder about his lips and why his mouth shape tends lean to one side. It seems to have impacted the way he speaks as you hear often from him slurring his lines while playing his action movie roles. There were even rumors spreading about the star having a stroke that almost made him dead. The trust is he did not have a stroke. His slurred speech impediment and lip shape were affected by a nerve damaged (complication) during his birth which left his face partially paralyzed. After 3 successful “Expendable” films, Stallone is looking better than he was a few years ago. He’s obviously lost weight and given his age, his face skin would have become saggy from losing the fat. However, this wasn’t the case so he might’ve had a facelift procedure around this year. Also, his forehead looks smooth and almost wrinkle free, so we suspect he’s also had a forehead lift and possibly a neck lift as well. If true, then his plastic surgeon has done an incredible job indeed. At 70 years old, you really have to give it to him for the way he’s been able to maintain his looks. Although his skin does look pale and dry, there aren’t too many wrinkles that we could see. And yes, he dyes his hair but the white hair seems to be coming out faster than he’s able to cover them. There was a hoax spreading online about the death of Sylvester Stallone, but that proved to be “Fake News”! He’s as strong as ever, looking in shape and apparently has 2 new movies coming out including “Creed 2” and “Escape Plan 2”. For some reasons, we think he might’ve had an eyelid surgery or an eye lift also. If you look closely, his eyelids look very different to when he was younger and yes, we know he’s getting old. 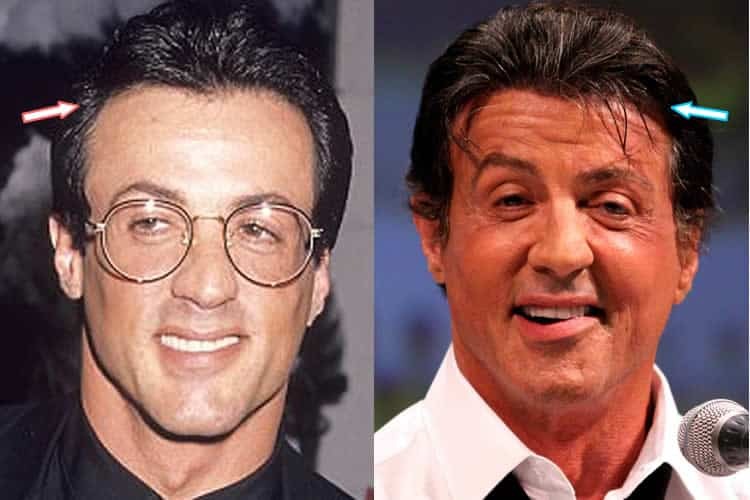 After going through Stallone’s before and after pictures, one thing we know for sure is that this action hero isn’t retiring anytime soon. He’s literally doing everything he can to make sure he looks good on screen. We’ve found a number of evidence to suggest that the star might’ve had a face lift, botox injection, brow lift, neck and probably eye surgery to prevent his eyes from sagging. There were also a few pics which clearly shows he’s done something to his hair. Now whether that’s hair regrowth shampoo or hair transplant, we’ll let you decide. His muscles from back in the days were not fake either. Although he may have used some substances to boost his “muscle gaining” speed, at the end of the day….he’s put in a ton of work to get to where he’s today. Perhaps his real-life story will one day become another Box Office hit. Next articleNon-Surgical Nose Injections Is FIVE Minute Job! Is ‘Plastic Surgery’ Angelina Jolie’s Beauty Secret? Renee Zellweger Plastic Surgery Photos Revealed? Did Nicole Kidman Have Facelift & Lip Augmentation? Non-Surgical Nose Injections Is FIVE Minute Job! Has Sandra Bullock Had Plastic Surgery?